Cormac McCarthy meets Stephen King in Nick Cutter’s off-the-rails fourth horror thriller, set in the backwoods of New Mexico. In 1965, an assassin, a bounty hunter, and a hired-gun named Micah, made an unholy truce in lieu of killing each other, and went to rescue an abducted child from a religious cult. In Little Haven, the evil they faced was both human and monstrous, including a preacher like Jim Jones channeling the Old Ones, and an eldritch Big Bad stitched from carcasses. 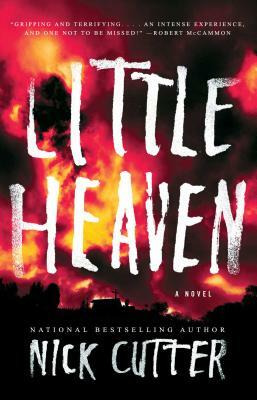 The trio of rescuers were cursed by what they found there, echoing the horrors of “The Monkey’s Paw.” Fifteen years later, Micah’s daughter goes missing, forcing him to reunite with his partners in perdition, and return to Little Haven for a final showdown. A gruesome, poetic yarn with a rip-roaring finish. --R.J. Crowther Jr.
A “gripping and terrifying story…and one not to be missed” (Robert McCammon) from the acclaimed author of The Troop and The Deep!